Why do we have enough advantage in market? 2. Our testing room can test the generator which power is from 8kw to 2000kw. Just few generator factory can test the capacity over 1000kw. As a professional and one of the largest generator sets manufacturer in China, we retain the equipment complex for manufacture,such as numerical control equipment, bending machine, plate shears,. Those equipment cost millions. 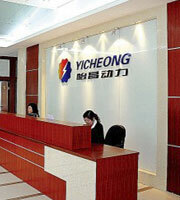 Owing to the full advanced equipment, the quality of our product are guaranteed. As a professional gensets manufacturer and facilitator, Power Link keeps improving the quality of products in controling noise, improving fuel efficiency and lowering emissions for the envirnmental protection. We got different award and certificate from the third party and local government department.